I am currently the Associate Director of Undergraduate Programs and Partnerships. In this role I support undergraduate program operations and curriculum development, and liaise with our four college partners and practice partners. My program of research currently centers on infants considered high risk and their families and caregivers. In particular, I am interested in the issues of prematurity, substance use during pregnancy (including infants experiencing neonatal opioid withdrawal, supporting women with substance use challenges, and supporting foster care providers who care for these infants in a community setting) and adolescent pregnancy and parenting. I also have an emerging program of research related to the history of maternal-infant and neonatal intensive care nursing in Canada. I approach these issues from social determinants, health equity, and critical intersectionality perspectives and work with a number of community based teams to develop strategies and interventions to support health in these populations. In addition to these specific clinical areas of study, I am also interested in nursing leadership, quality improvement and patient safety. Member of the Canada FASD Research Partnership Network Action Team on FASD Prevention from a Women’s Determinants of Health Perspective. Invited content expert with the Vermont Oxford Network, a non-profit NICU quality improvement collaboration. 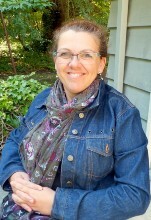 Since arriving at UVic in 2009 I have taught primarily in the undergraduate program in community health and nursing leadership, and also in research methodologies and data analysis at the undergraduate and graduate level. I have also taught the child bearing family elective and grounded theory directed studies course. I co-facilitate the Grounded Theory Club, an informal interdisciplinary and cross-institutional methodology seminar offered on campus and virtually. I teach from an appreciative standpoint and find that strength-based approaches - such as consensus and team building, encouraging a spirit of inquiry in everyday practice, and applying creative strategies to problem solving – are ones that the students respond to positively. By fostering an intrinsic motivation of students to learn in the moment I hope to support them in beginning their transition to think as lifelong learners. Marcellus, L. (2018). A social ecological examination of factors influencing the treatment of infants with Neonatal Abstinence Syndrome. Journal of Obstetric, Gynecologic and Neonatal Nursing, 47(4), 509-519. Kramlich, D., Kronk, R., Marcellus, L., Colbert, A., & Jakub, K. (2018). Rural postpartum women with substance use disorders. Qualitative Health Research, 28(9), 1449-1461. Marcellus, L. & Shahram, S. (2018). Starting at the beginning: The role of public health nursing in promoting infants and early childhood mental health. Canadian Journal of Nursing Leadership, 30(3), 43-53. Marcellus, L., Poole, N., & Hemsing, N. (2018). Beyond abstinence: Harm reduction during pregnancy and early parenting. In W. Peterson & M. Foulkes, Mothers, addiction and recovery: Finding meaning through the journey. Bradford, ON: Demeter Press. Pauly, B., Shahram, S., Dang, P., Marcellus, L. & MacDonald, M. (2017). Health equity talk: Understandings of health equity among health leaders. AIMS Public Health, 4(5), 490-512. Marcellus, L., Shaw, L. MacKinnon, K., & Gordon, C. (2017). Characteristics of interventions and programs that support the health and development of infants with prenatal substance exposure in foster care: A scoping review protocol. JBI Database of Systematic Reviews and Implementation Reports, 15(11), 2666-2706. MacKinnon, K., Marcellus, L., Rivers, J., Gordon, C., Ryan, M., & Butcher, D. (2017). Student and educator experiences of maternal-child simulation-based learning: A systematic review of qualitative evidence. JBI Database of Systematic Reviews and Implementation Reports, 13(1), 14-26. Marcellus, L. (2017). A grounded theory of mothering in the early years for women recovering from substance use. Journal of Family Nursing, 23(3), 341-365. Marcellus, L., MacKinnon, K., Gordon, C. & Shaw, L. (2017). Interventions and programs that support the health and development of infants with prenatal alcohol and/or drug exposure in foster care: A scoping review protocol. JBI Database of Systematic Reviews and Implementation Reports, 15(12), 2848-2855. Marcellus, L. (2016). Supporting families at Sheway and beyond: Self, recovery, family and home. A three year longitudinal study of early parenting experiences. Victoria, BC: University of Victoria. Marcellus, L. (2016). Guest editorial: Special issue on Neonatal Abstinence Syndrome. Neonatal Network, 35(5), 266-277. Marcellus, L. & Cross, S. (2016). Trauma informed care in the NICU: Implications for early childhood development (Part II). Neonatal Network, 35(6), 359-366. Marcellus, L. & MacKinnon, K. (2016). Using an informed advocacy approach to advance the practice of family-centered care. Journal of Perinatal and Neonatal Nursing, 30(3), 240-242. Marcellus, L. & Poag, E. (2016). Adding to our practice toolkit: Using the ACTS script to address stigmatizing peer behaviors in the context of maternal substance use. Neonatal Network, 35(5), 327-332. Marcellus, L., Loutit, T., & Cross, T. (2015). National survey of NICU practices for infants with Neonatal Abstinence Syndrome. Advances in Neonatal Care, 15(5), 336-344. Benoit, C., Magnus, S., Phillips, R., Marcellus, L., & Charbonneau, S. (2015). Complicating the dominant morality discourse: Mothers and fathers' constructions of substance use during pregnancy and early parenthood. International Journal for Equity in Health, 14, 72. Marcellus, L. (2015). Border crossing: Translating addiction, trauma and gender knowledge for the Neonatal Intensive Care Unit context. In L. Greaves, N. Poole & E. Boyle (Eds. ), Transforming addictions: Integrated perspectives on addictions, gender and trauma. Routledge. Nathoo, T., Marcellus, L., & Poole, N. (2015). Harm reduction and pregnancy: Community-based approaches to prenatal substance use in Western Canada. Victoria BC: University of Victoria and the Canada FASD Partnership. Marcellus, L. (January 2015). Growing together: Supporting the mental health and wellness of young children, mothers, and their families. Victoria, BC: BC Council on Families, Ministry of Health, Ministry of Children and Family Development. Marcellus, L., MacKinnon, K., Benoit, C., Phillips, R., & Stengel, C. (2014). Redefining indicators of success for programs supporting pregnant women with problematic substance use. Qualitative Health Research. Online version. Benoit, C., Marcellus, L., Phillips, R., Stengel, C. & O’Connor, S. (2014). Analyzing provider’s constructions of problematic substance use among pregnant and early parenting women. Sociology of Health and Illness, 36(2), 252-263. MacKinnon, K., Marcellus, L., Rivers, J., Gordon, C., Ryan, M., & Butcher, D. (2014). Student and educator experiences of maternal-child simulation-based learning: A systematic review of qualitative evidence protocol. JBI Database of Systematic Reviews and Implementation Reports, 13(1), 14-26. Marcellus, L. (2014). Nurture the mother – nurture the child: A trauma-informed, family-centered approach to supporting women with substance use issues who are pregnant and newly parenting. Facilitator’s guide to DVD. Burlington, Vermont: Vermont Oxford Network. Nathoo, T., Poole, N., Bryans, M., Dechief, L., Hardeman, S., Marcellus, L., Poag, B., & Taylor, M. (2013). Voices from the community: Developing effective community programs to support pregnant and early parenting women who use alcohol and other substances. First Peoples Child and Family Review, 8(1), 93-106. Marcellus, L., & Harrison, A. (2012). An introduction to the quality improvement process for neonatal nurses. Part I: Quality improvement: A framework for advancing the quality and safety of care. Neonatal Network, 31(2),81-88. Marcellus, L. (2012). Chapter 10: Fetal development and genetics. In J. Chow (Ed.). Maternity and pediatric nursing (1st Canadian Edition). Philadelphia: Wolters Kluwer- Lippincott Williams and Wilkins. Marcellus, L. & Nelson, C. (2011). Pilot project to provincial program: Sustaining Safe Babies, 107(9), 28-31. Marcellus, L. (2010). Supporting resilience in foster families: A model for program design that supports recruitment, retention and satisfaction of foster families who care for infants with prenatal substance exposure. Child Welfare, 89(1), 7-29. Marcellus, L. (2007). Neonatal Abstinence Syndrome: Reconstructing the evidence. Neonatal Network, 26(1), 33-40. Toward an equity oriented framework to inform responses to opioid overdoses (EOF): A scoping review. CIHR Knowledge Synthesis Grant. Co-PIs: Pauly, B., O’Briain, W., Shahram, S., Wallace, B. Co-Is: Cornell, T., Jensen, K., MacDonald, M., MacKinnon, K., Marcellus, L., Mema, S., Sawchuk, D., Urbanoski, K., Young, W. $107,750. Advancing knowledge on best practice and care of infants, children and youth with prenatal substance exposure/Fetal Alcohol Spectrum Disorder in child welfare. Badry, D. (PI), Marcellus, L. (Co-PI), Ferrer, I., Jenney, A., Lahtail, B., Mann, J., Fuller, A. PolicyWise for Children and Families, $40,000). Does a collaborative learning unit (CLU) impact development of a knowledge informed culture and implementation of evidence based practice for nurses in priority patient settings? Marcellus, L. (PI), McLaren, J. (CO-PI), Sawchuk, D., Jantzen, D., & Duncan, S. Michael Smith Health Research Foundation, Nursing Research Initiative. (2017-2018), $54,000. Extension of inCARE project: Knowledge mobilization phase. Marcellus, L., Malone, D., Shaw, L., & Fuller, A. MCFD/UVIC Shared Research Grant (2017-2018), $15,000. Does receiving a diagnosis of FASD improve quality of life for women who are pregnant or new parents? A rapid evidence assessment of literature on best practices in the care of infants with prenatal substance exposure in foster care. PI: Marcellus, L. MCFD/UVIC Shared Research Grant (2015-2016), $10,000. Implementation of an Indigenous wrap around case manager in the HerWay Home Program. PI: Marcellus, L.. Co-PIs: Seymour, A., Milne, L., & Schissell, C. Green Shields Canada (2015-2017), $80,000. Developing a BSN undergraduate pathway for research and evidence-based practice. PI: Marcellus, L. Co-PIs: Young, W., Plamondon, K., Jantzen, D., Durnford, K., Hackett, S., Bond, M., & Hannah, E. UVIC Learning and Teaching Grant (2014-2015), $10,000. BC Healthy Foundations Study. PIs: Andrea Gonzales, Charlotte Waddell, Harriet MacMillan, CoPIs: Susan Jack, Debbie Sheehan, Co-Investigators: Michael Boyle, Ronald Barr, Colleen Varcoe, Lenora Marcellus, Amiram Gafni, Lil Tonmyr. Canadian;Institutes of Health Research (2013-2016), $356,000. What should I be worried about? Improving change of shift report in ICU. Co-PI: Hill, W. & Marcellus, L., Co-Investigators: Marck, P., Reid, C., Krause, C., Cochrane, D., Plamondon, K., & Chernoff, J. Commissioned grant from British Columbia Patient Safety and Quality Council (2012-2014). $40,000. In this study our team is following alongside the early stages of development of a comprehensive "one stop shop" program in Victoria BC for pregnant and early parenting women with substance use issues. Psychometric comparison of the Finnegan and the FIR Square neonatal withdrawal tools. Marcellus, L. (PI). Queen Alexandra Foundationn. In this study we are comparing a new neonatal withdrawal assessment tool with the most widely used Finnegan tool. We aim to establish the utility of this simpler tool for use in community hospital settings.